Call the Counseling Center at 319-273-2676 to schedule an Initial Assessment appointment with a counselor. Please note that while there is no charge for counseling services, there is a $25.00 fee charged if you do no attend or cancel your scheduled appointment. If you cannot keep your scheduled appointment, please call the Counseling Center at 319-273-2676 to cancel or reschedule. Besides saving yourself the $25.00 "no show" fee, letting us know you won't be attending your appointment may allow us to provide services to another student during that time. Clients who need to cancel or reschedule an appointment must call as soon as reasonably possible. If clients do not call to cancel or reschedule by the end of the day of your scheduled appointment, you will be charged a $25 No Show fee which will be placed on your University Bill. The charge on your University bill will be labeled as Health Services-Missed Appt. Missed Appointments (or No Shows) will be reviewed by the Director and/or the Assistant Director for Clinical Services to determine whether the No Show charge should be applied for any missed appointments prior to the submission of the charges. Reasons for not charging the no show fee include if you are hospitalized, incapacitated, or otherwise unable to communicate with the Counseling Center, or had an emergency that prevented attendance and communication with the Counseling Center. In exceptional circumstances a No Show fee that has been charged may be reversed by the Counseling Center Director. If you believe a charge for a missed appointment is unwarranted, you may appeal by contacting the Counseling Center Director at 319-273-2676 or david.towle@uni.edu. Multiple or recurring requests for exceptions to the No Show fee may not necessarily be granted. 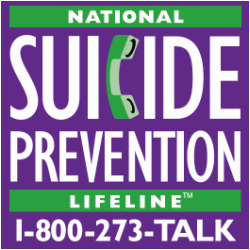 Faculty and staff seeking counseling services are encouraged to utilize the Employee Assistance Program by calling 1-800-327-4692.